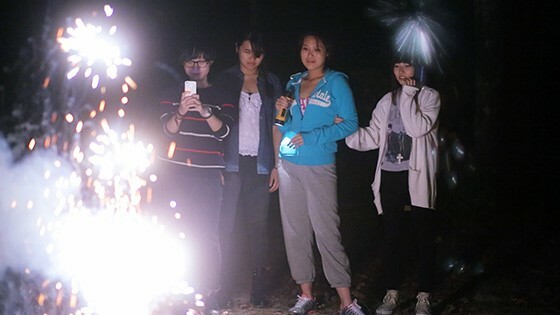 Directed by Miao Wang (BEIJING TAXI, IFFBoston 2010) and filmed over three years in China and the U.S., MAINELAND is a multilayered coming-of-age tale that follows two teenagers of China's wealthy elite as they settle into a boarding school in blue-collar, rural Maine. Part of the enormous wave of "parachute students" from China enrolling in U.S. private schools, bubbly, fun-loving Stella and introspective Harry seek a Western-style education, an escape from the dreaded Chinese college-entrance exam, and the promise of a Hollywood-style U.S. high school experience. Worlds collide as Stella's and Harry's fuzzy visions of the American dream slowly gain more clarity. The two ruminate on their experiences of alienation, culture clash, and personal identity, sharing new understandings and poignant discourses on home and country.